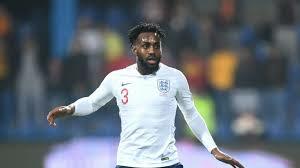 April 5 – England defender Danny Rose says he “can’t wait to see the back of football” because he so is disgusted at the recent resurgence of racism among fans. Racist chanting was directed at several England players, including Rose, during England’s recent the Euro 2020 qualifier in Montenegro. The Tottenham fullback, who has experienced the same treatment elsewhere on England’s travels, said he even expected to be abused in Montenegro but did not want to speak out after the game and take the gloss off England’s 5-1 victory.